You know what they say at the lake...”If the fish don’t bite, the mosquitoes will”! There are many ways to protect yourself and your family without the use of chemicals. Neem Oil or Neem Seed Oil - According to a study by the US National Research Council, Neem Oil is more effective than Deet. These results were confirmed by scientists at the Malaria Institute of India and in research cited in the Journal of the American Mosquito Control Association. Neem is a plant that grows in India. Organic Soy Oil – Research cited in the New England Journal of Medicine, found that repellents made of Soybean Oil are just as effective as Deet containing repellents. Soy Oil is inexpensive and easy to find, making it an excellent choice. Plus, it is an excellent body moisturizer. Catnip – you can drive cats wild and make mosquitoes run in terror, according to research at Iowa State University which found that the essential oil found in the Herb catnip, is about 10 times more effective than Deet in repelling mosquitoes. Lavender Essential Oil smells great and is a commonly used as an effective mosquito repellent. It is best diluted in a carrier oil like coconut oil or sweet almond oil. If you can find Organic Soy Oil, it is also a good option since it also keeps mosquitoes at bay. Already Bitten? Itchy mosquito bites are no fun on a vacation, especially when the kids get scratching. There are a lot of different products out there that claim to soothe the bite but did you know there are also a lot of natural remedies that are chemical free and can be found around the cottage? The kitchen has a few weapons to end the itchfest caused by mosquito bites. A dab of honey applied to the site can sooth skin because it is a natural antibiotic. Apple Cider Vinegar also has anti-itch benefits due to the acidity in the vinegar. Once pressed against the bite, the acidic liquid will reduce swelling and take away the urge to scratch the bite. Sounds strange, but doctors also say using the inside of a banana peel can be an appealing way to get rid of the itch, thanks to the banana peels oils.Baking soda mixed with water to create a paste, applied to the bite will soon stop the itching. No baking soda? Used crushed Tums mixed with water.Another paste to make, is a paste from any meat tenderizer that contains Papain. Mix it with water and spread it on the bite. The Papain breaks down the proteins in the mosquito saliva which will help reduce your body’s reaction to the bite. What about the bathroom? Mouthwash, Hand Sanitizer or Rubbing Alcohol will disinfect the bite, and as the alcohol evaporates it will create a cooling sensation. Toothpaste – a small amount on the bite can provide hours of relief due to the Toothpaste’s anti-inflammatory properties and ingredients like menthol and baking soda. Vicks Vaporub is a proven go-to home remedy because it has menthol and camphor oils as ingredients, both which help stop itching. Roll on antiperspirant contains aluminum chloride salts and will help absorb the fluid in the mosquito bite, thus, reducing the itch. 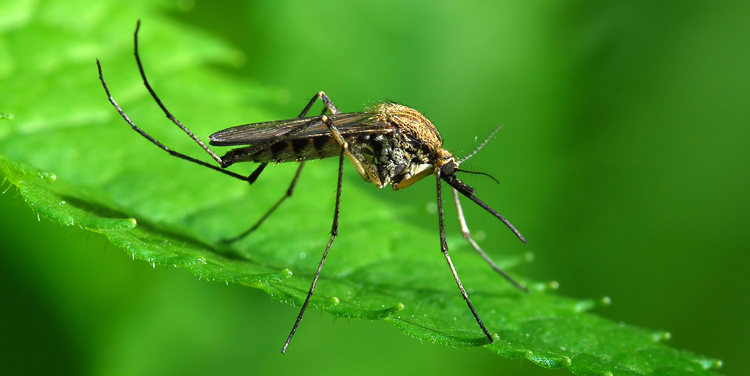 Mosquitoes are always part of summer and cottage life, so hopefully, some of these tips will make the bites a little more tolerable and it is always wise to ensure you try to avoid getting too many bites in the first place!